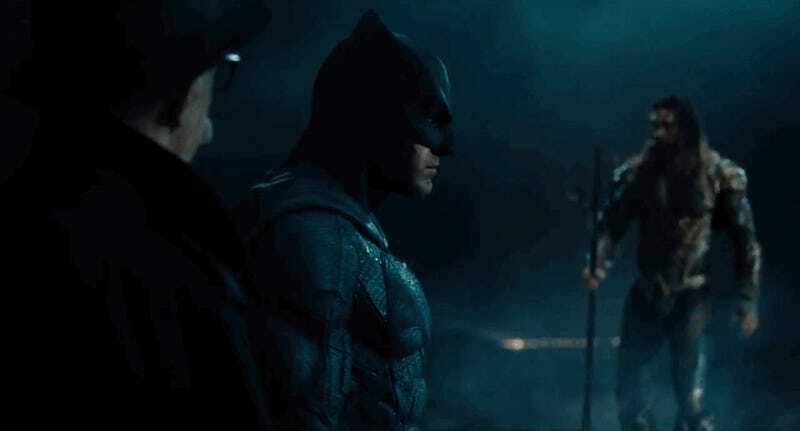 As is our wont, we’ve taken some time put on our detective’s hats, pool our knowledge of rumor and comic books, and squint at every frame of the new Justice League trailer to tell you everything it’s got hidden in its many shades of grey. We open with what I think we all immediately knew was Bruce Wayne (Ben Affleck) alone, one a snowy mountain, with a horse. 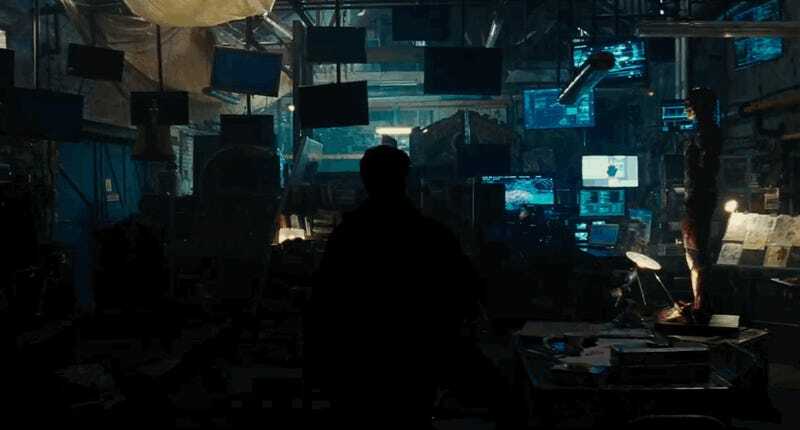 He looks down on something that I think is the fishing village where Aquaman (Jason Momoa) was found by Bruce in the Comic-Con footage. 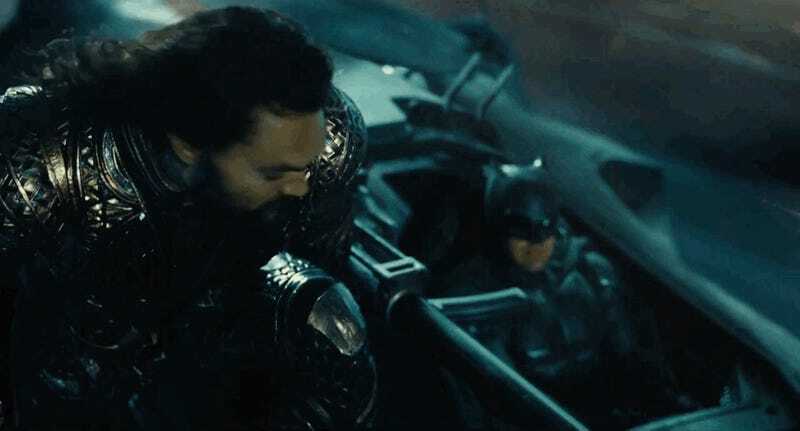 In fact, Bruce’s outfit looks identical, so I feel safe in making the call that this is from Bruce going through a lot of work to track down Aquaman. Presumably from that file of Lex’s (Jesse Eisenberg) he swiped in Batman v Superman. There’s a lot going on in this clip, which shows Silas Stone (Joe Morton) coming home. 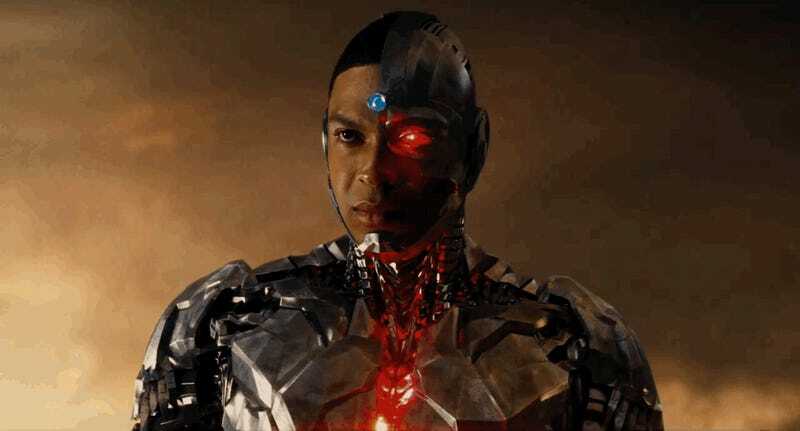 In the comics—and as seen briefly in Batman v Superman—is the father of Cyborg (Ray Fisher). Silas Stone and his cyborg son, Victor Stone. This thing that Silas has apparently just hanging out by his couch looks like it’s a Mother Box, which the movie’s villain, Steppenwolf (Ciarán Hinds), is spending his time hunting down. 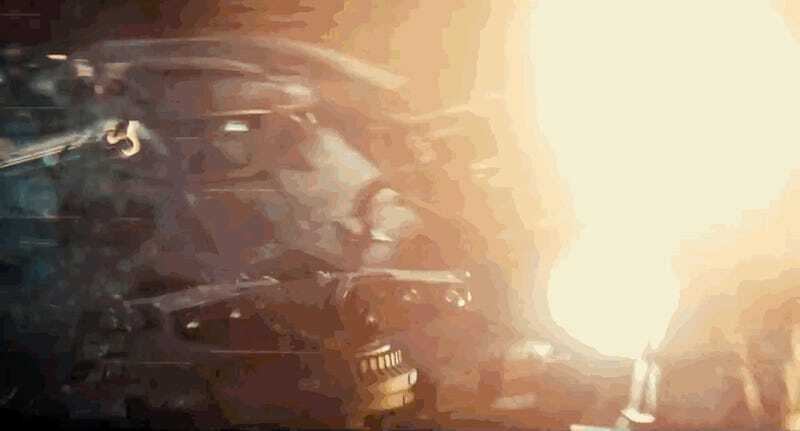 Steppenwolf may be the main villain, but he’s got Apokoliptian help in the form of a Parademon in the back there. They look pretty similar to when they showed up in Batman’s weirdly prophetic dream in Batman v Superman. 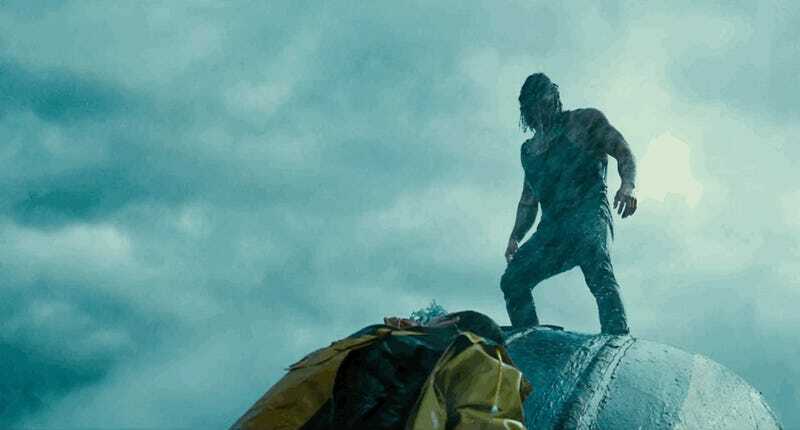 Well, Aquaman’s standing on a capsized boat looking fine. I almost slowed it down more, but it’s fine as is. You’re welcome. Aquaman saves a fisherman, delivers him to the bar, and says the drinks on him. 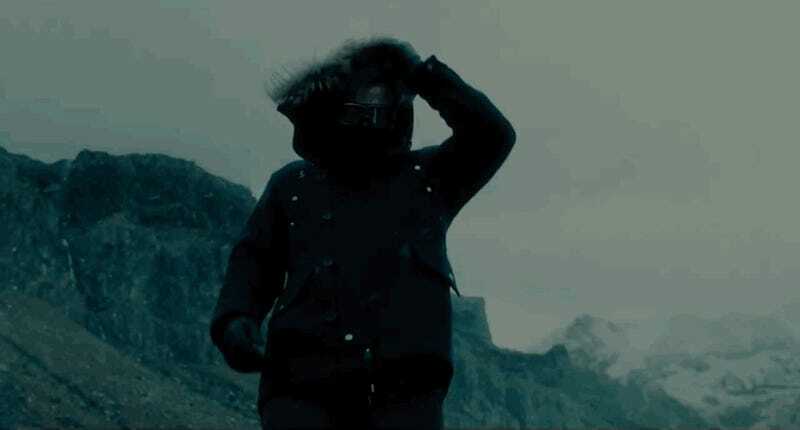 Watch out, Aquaman, Bruce Wayne and a giant parka are coming for you! 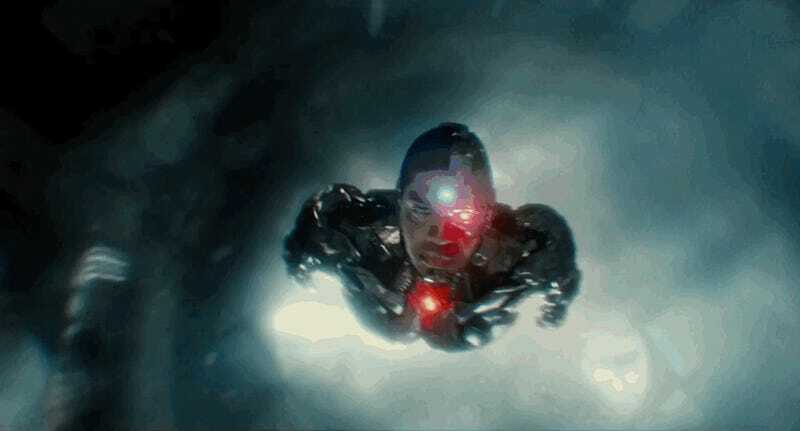 It looks here like Cyborg’s either getting the Mother Box back for his dad or finding a new one. Also, he looks like the bridge between the new Power Rangers movie and Transformers. 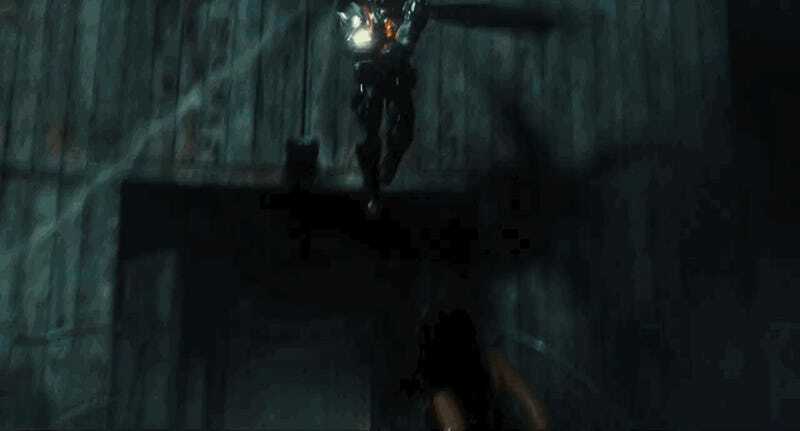 We see Cyborg in action in what looks like his dad’s lab—you can see Silas, in his brown coat from earlier in the trailer—ducking. Is it a rescue maybe? More of Cyborg in action—we see a lot of this, I wonder if it’s to establish a lesser known hero. I also feel like this—and a lot of the things we see in this trailer—are from flashbacks from before the main action of the film starts. Barry comes home to his computer lair which, as we’ve already noted, is playing Rick and Morty on one of the screens. 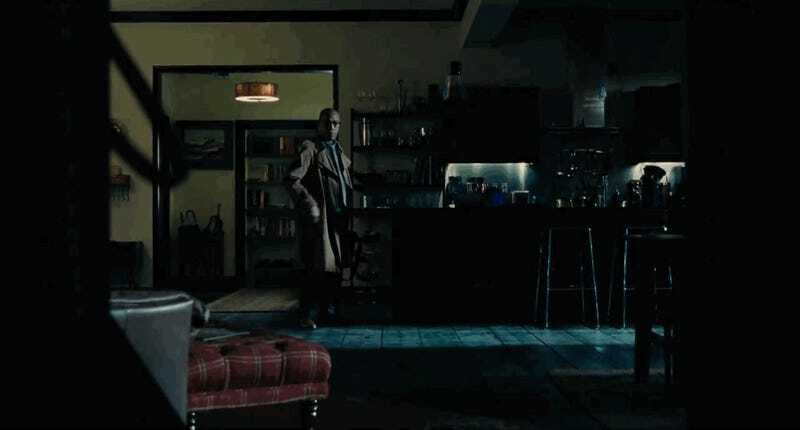 I’d freak out if I saw Bruce Wayne just lounging in my chair with no warning. We get another look at Barry’s powers—he’s fast—as he races in a...forest? Past a...compound? Here’s a freeze-frame of it, I think he’s just racing past it and it’s not important. But you never know what’s a clue, so I am putting it here for you to obsess about in the comments. 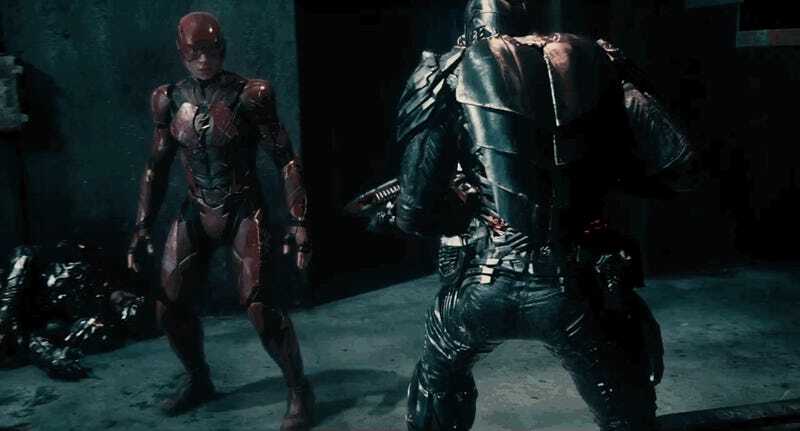 Then we get a bit that we saw in the Comic-Con footage last year, where Bruce goes to recruit Barry Allen and tests his speed by throwing a batarang at him. I’m actually using a gif from the Comic-Con footage because it’s all chopped up with blackouts in the trailer, and is cleaner here. 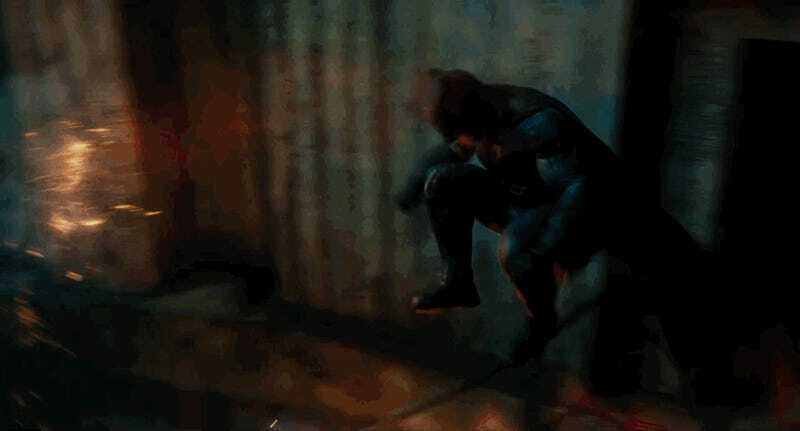 But the point is that this is how we’ll see Barry’s reaction time—basically bullet time. And that, apparently, Bruce is carrying around a batarang in his civvies. I mean, talk about being prepared, but it’s still hilarious. 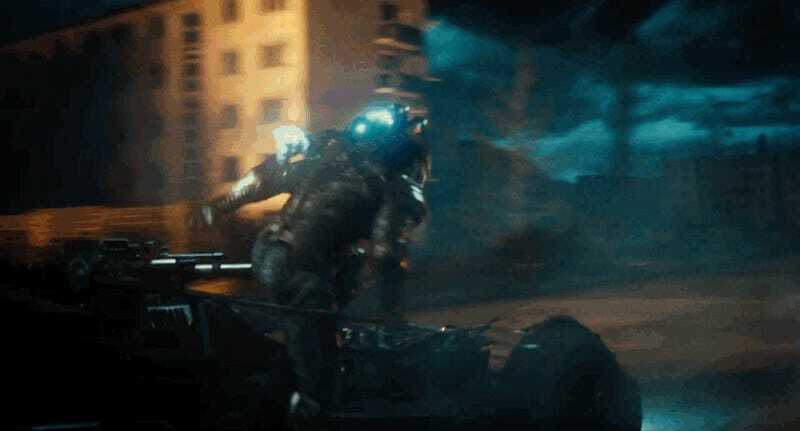 In some desolate place in what is either from the climax—but could also be a raid on one of Steppenwolf’s facilities—Batman fights Parademons. 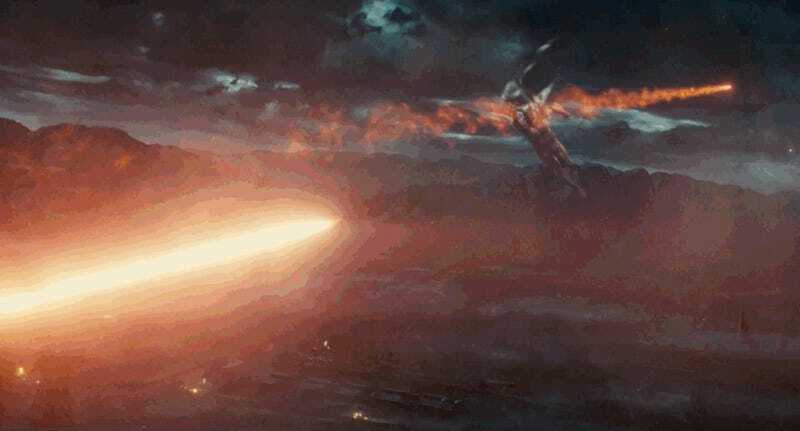 And I had to go through this frame by frame, like it was the Zapruder film, to make sure it was Parademons and not something new. 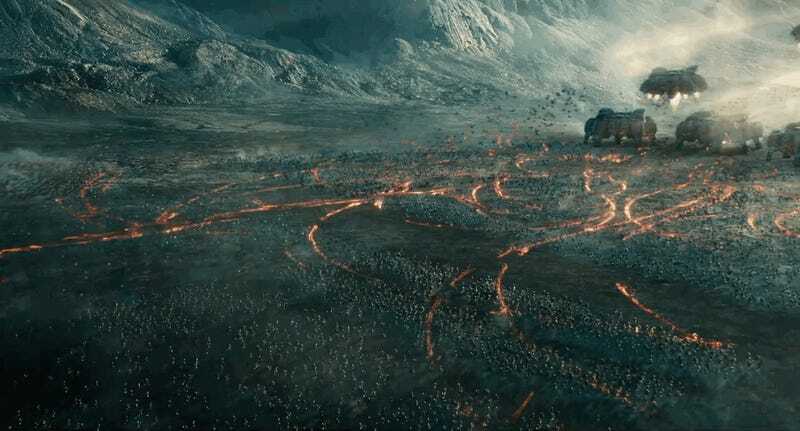 And more action shots from this big Parademon battle. Is it just me or is this landscape so desolate that it smacks “Not Earth”? Also, Aquaman is in a suit that covers his whole body, to which I say, “BOOOO.” Not just for the obvious reasons, but because something weird happens to his body proportions in it. I think it’s just that it looks—it may not be—like there’s been some CGI added to it. Also, that’s a trident with five prongs. Just saying. 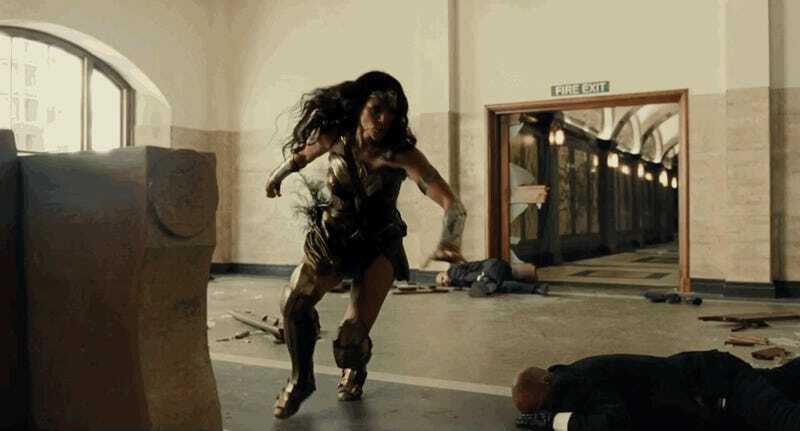 This is interesting because it’s Wonder Woman in a fight in what’s clearly a modern building in a modern place—a fight to keep Steppenwolf from a Mother Box, maybe? 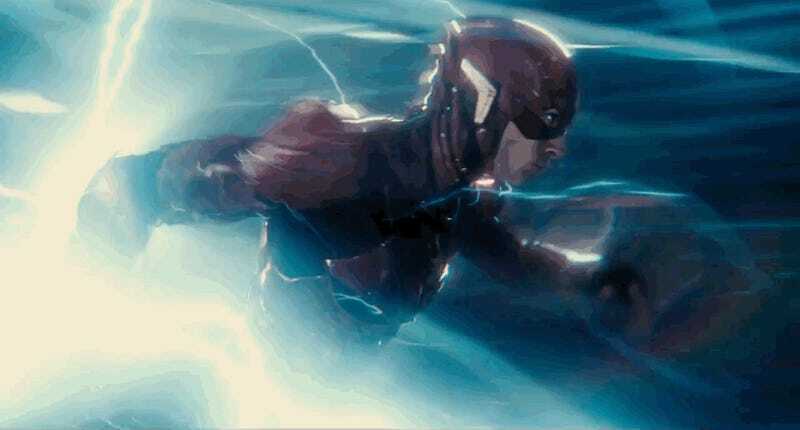 I like this way of showing the Flash’s powers more than either the slow-mo or the running we saw earlier. Also this looks like the same building Cyborg is flying out of. Now ponder what car they could be possibly be getting into in daylight in regular clothes. It’s meant to evoke the Batmobile—and cut to line up with the next shot of Bruce in a vehicle—but it’s definitely just a very expensive car. This is the Nightcrawler—an articulated vehicle that Batman has that can climb up walls and things. 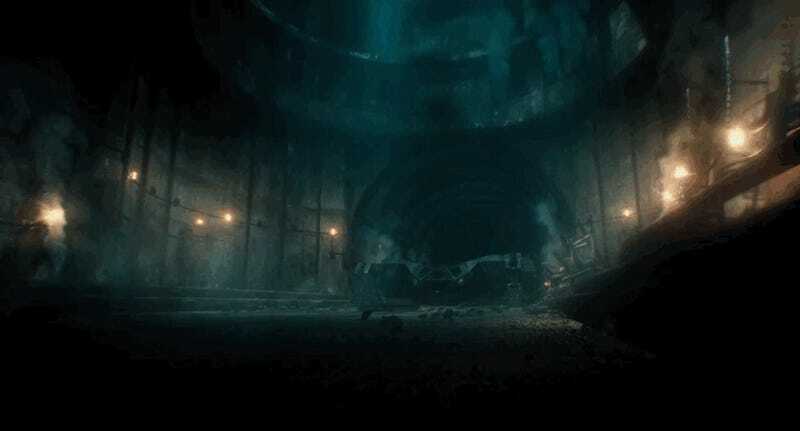 We first encountered it on a set visit, where we also found out that this is all taking place in a tunnel that connects Gotham and Metropolis, which is the site of a giant set piece. 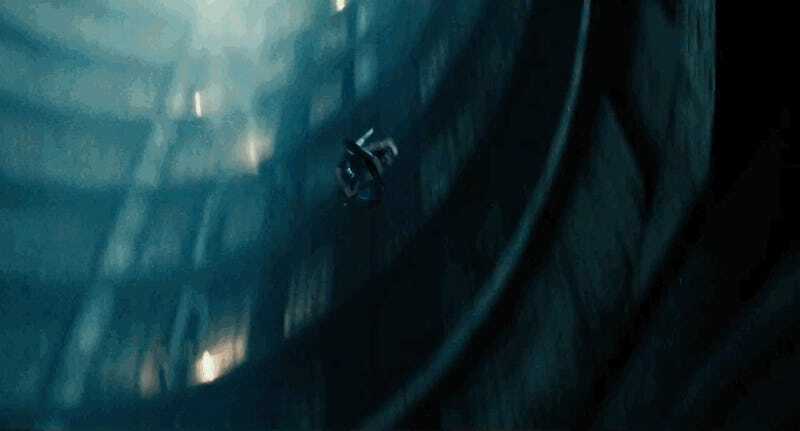 It also looks kind of like they’re breaking into the tunnel—which apparently has a giant tube up to ground level so Cyclops and Wonder Woman can fly and jump around in it. The Nightcrawler (man is that a confusing name) is pretty kludgy, but effective. 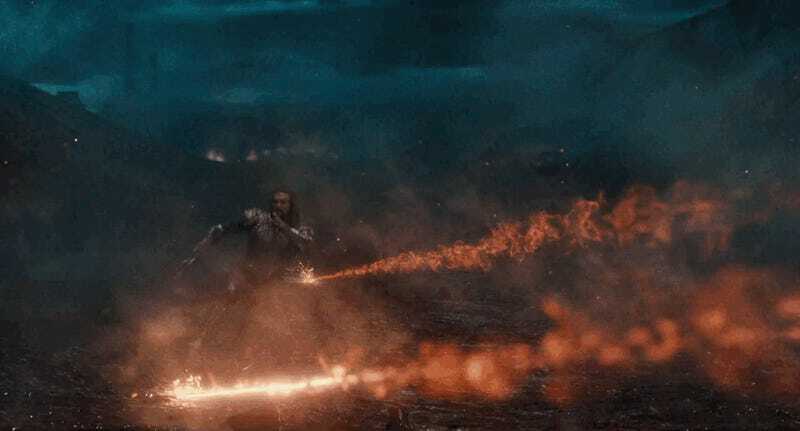 This is cut to make it look like whatever Aquaman and Wonder Woman are destroying in a cave is setting off an explosion in the middle of a city. I don’t buy it. 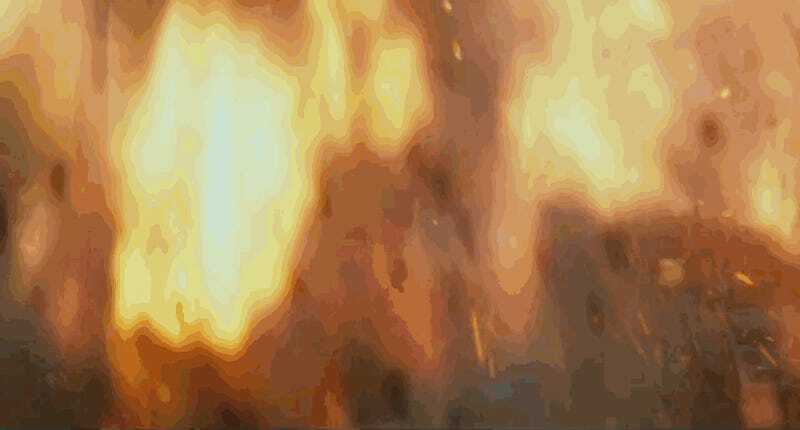 Unless it’s a Mother Box Wonder Woman is punching and it’s using it’s reality-warping powers to do this. Lois (Amy Adams) is also here. And so is Mera (Amber Heard). And here’s Barry’s dad (Billy Crudup). 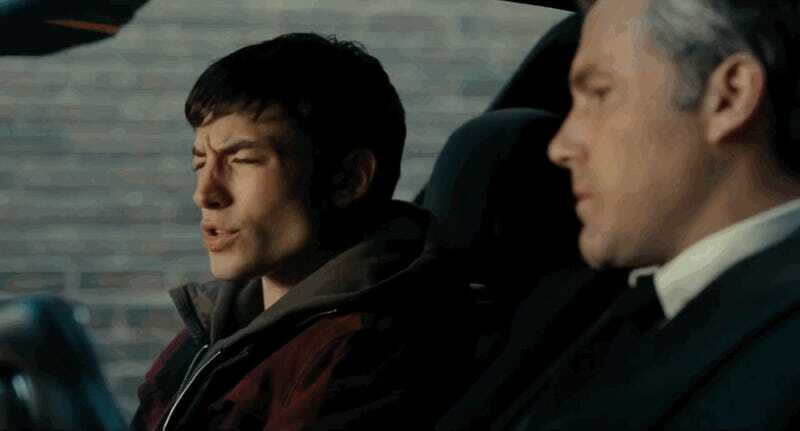 Looks like Henry Allen has the Rebirth background of being convicted of the death of Barry’s mom. Barry believes him to be innocent. A lot of characters are here to set up future movies, it feels like. Except Lois. She’s here to remind us that Superman is supposed to be showing up in this film. Now, this scene is filled with Amazons. 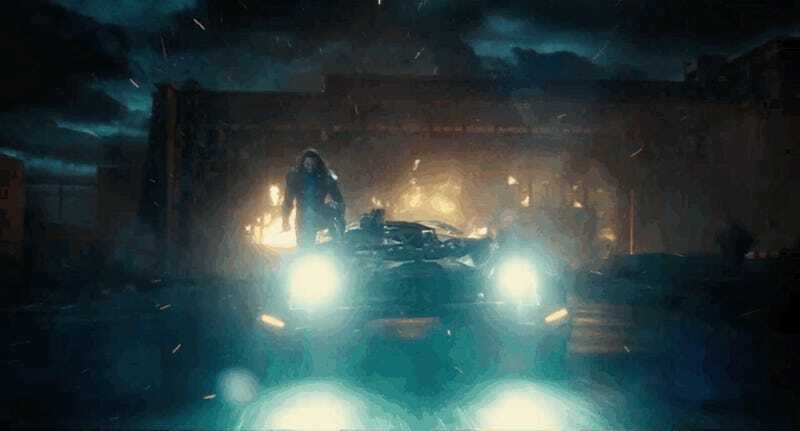 And we can’t tell if it’s a flashback to an earlier battle Themiscyra had with Darkseid/Steppenwolf/Apokolips the planet in general or if Diana called in some favors. We’re leaning to it being a flashback. 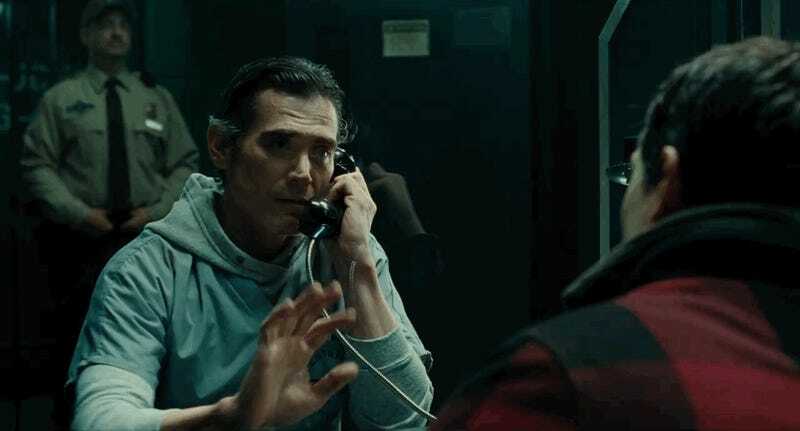 Flashbacks in general seem like they’re going to start the film, with Bruce and Diana talking about what’s happening and his recruitment efforts. And to explain why everyone wants the Mother Boxes. I have to slow this down to really appreciate it, but there are some really great action moments in this trailer. 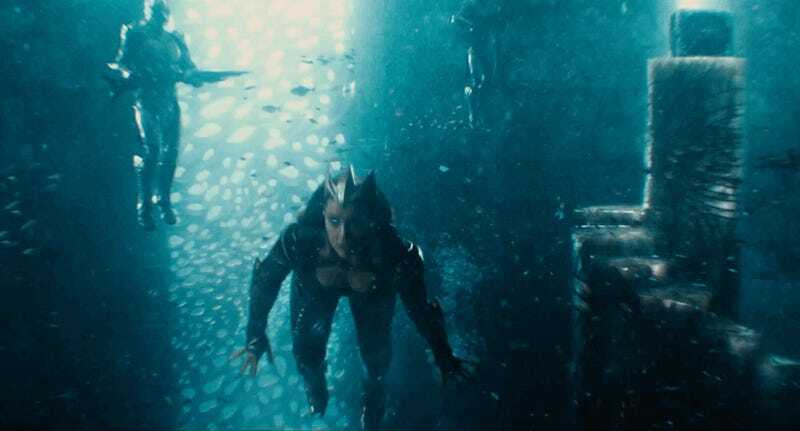 Like this one, where Wonder Woman jumps down in the tunnel and, through the power of a cut, ends up with Cyborg and Aquaman in what looks like a completely different set (Apokolips?). 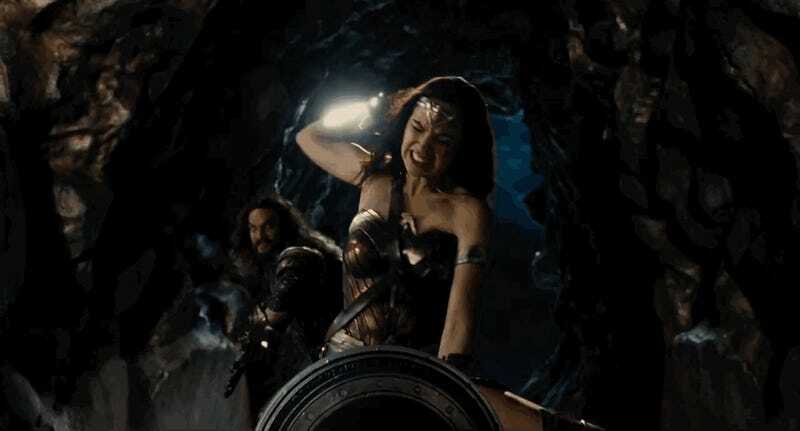 I guess they learned from Batman v Superman that you can’t go wrong with Wonder Woman standing into a hero pose from a crouch. Commissioner Gordon (J.K. Simmons) says, “It’s good to see you playing well with others again.” Either this is a reference to the Robins (and/or the upcoming Nightwing movie) or he’s being sarcastic. Or it’s a weird Batman v Superman callback. You know what? I would watch a whole movie of grumpy Batdad being clowned on by heroes with actual superpowers. Jason Momoa is having the time of his life in this role. 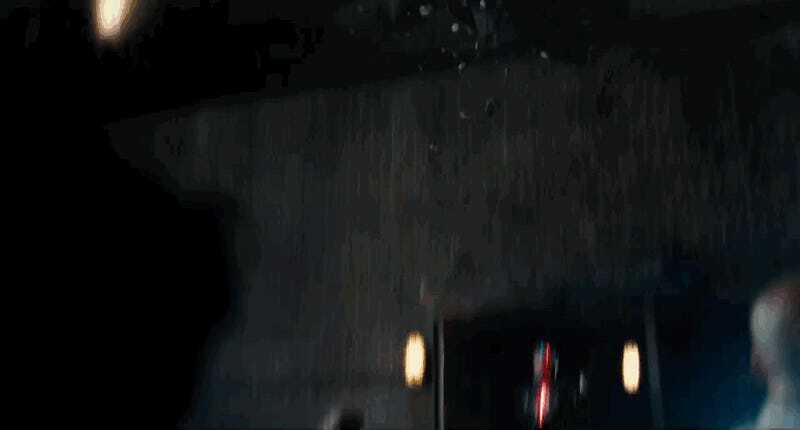 I just assume you all would need this gif for later. And while all this action is great and all, there is a super-sized hole in this trailer. I know we’re supposed to go along with the idea that Superman is “dead,” but we all know he’s showing up in this movie, right? 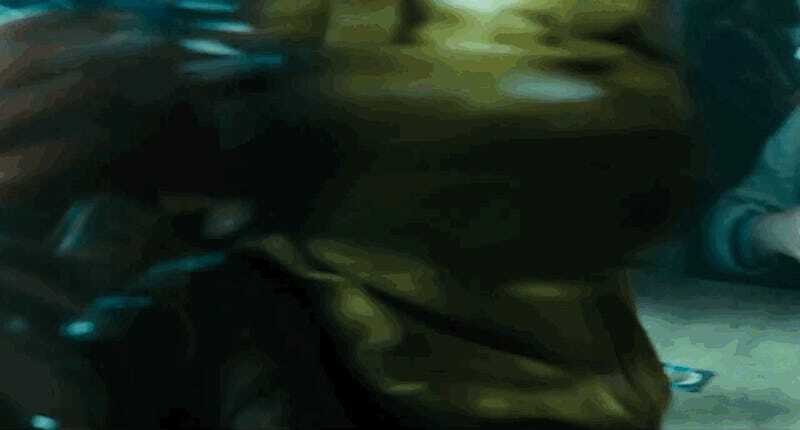 This is an early trailer, so I get that they’re building suspense so they can get all the publicity possible out of “FIRST OFFICIAL SHOT OF SUPERMAN IN JUSTICE LEAGUE” and such, but it also means you can kind of tell the trailer is cut around his part in the plot. Which I’m assuming isn’t small. 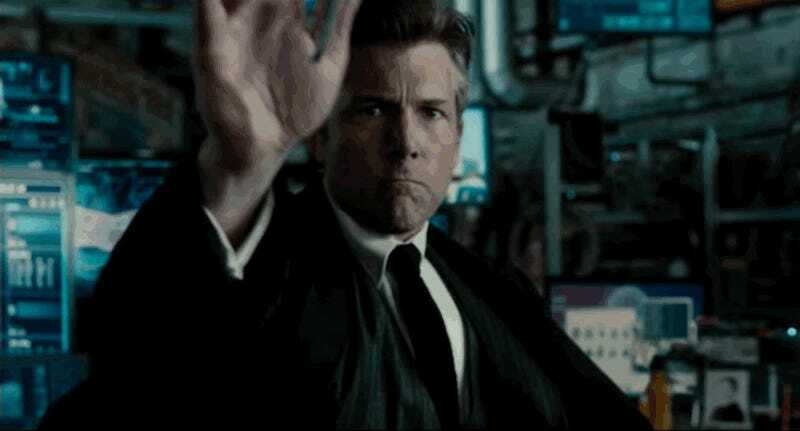 If it is small and he comes back just to setup a later appearance, than keeping him out makes sense, since you’d burn a large percentage of your limited Superman footage that way. The other thing that makes sense is if Superman’s reappearance is tied to some twist. Like maybe the hint that he’s in the black and silver The Death and Return of Superman suit isn’t a hint but a real thing. Or maybe he comes back wrong and they have to beat him back into goodness. Something. We’ll find out November 17.